One thing you can count on with Microsoft is their focus on improving product security. While they improved their Windows 10, Office365 has had vast improvements as well. Those of you starting to use Office 365 Government may want to look into a recent feature added called Threat Intelligence, released earlier this month. It’s a platform helping organizations like yours stay ahead of the cyber threat loop. 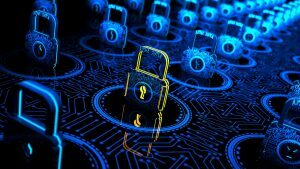 This is just an adjunct to further enhancements to existing security features like Advanced Threat Protection, as well as Advanced Data Governance. All of this works in tandem to help keep your government office network safe. Plus, you’ll be able to keep yourself compliant at all times without facing expensive violation fines. Here’s a look at how all these work in your office setting. What Can Office 365 Threat Intelligence Do? Using the newly added Threat Intelligence helps you look ahead at the possibilities of a cyber attack occurring. It’s going to give you interactive tools with a severity level list of impending threats, all in real-time. They give you opportunity to customize many of the security alerts, with instant results. Plus, you’ll be able to do any remediation based on content deemed suspicious. The platform lets you see more threat details as well so you’re not in the dark about what the threat was and where it came from. All of these threat insights come from various data points, and the entire platform integrates perfectly with other systems. This graph is a big part of how Threat Intelligence works since it picks up on the latest threats worldwide. Known as the Microsoft Intelligent Security Graph, it analyzes billions of authentications countrywide for a comprehensive view of cyber issues. Microsoft taps into multiple data sources, including what’s occurring internationally in Windows and Azure to warn you of what’s ahead. They even look at what’s occurring with Office365 in other countries to see what impending threats could become a global concern. What’s most useful is the information on the type of malware infecting everyone. It gives complete detail about the code used in the malware and how it breached your network. It’s worth noting Threat Intelligence integrates with all other security features you use in Office365, particularly Exchange Online Protection. This additionally integrates well with Advanced Threat Protection already available in Office365. Combining this with Threat Intelligence gives you the most complete cyber threat security in one platform. You’ll get more detailed information about which users get targeted the most, and how frequent the malware targets agencies like yours. Afterward, the platform gives you suggestions on how to handle the problem based on your agency’s business structure. If you’ve used the ATP feature recently in Office365, you now have a new reporting interface telling you about the security health of your government agency. Here, you can focus on the details of what’s really happening in your office in the way of recent viruses or even spam. It’s possible to check this on an outbound and inbound basis. Along with custom reports, every department has a 360-degree view of your vulnerabilities. Later this month, ATP is going to become enabled with Office 365 ProPlus desktop clients for more complete security coverage. Staying compliant is an essential part of your security, especially if a DDoS attack or malware compromises private data. Microsoft’s Advanced Data Governance gives you proactive policy recommendations, system default alerts, and migrating data safely from another database to Office365. Keep reading as we explore Office365 Government features here at cFocus Software Incorporated.